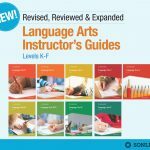 I read this article and wanted to share it with you: Fully Revised and Updated Language Arts Guides https://blog.sonlight.com/fully-revised-updated-language-arts-guides.html. 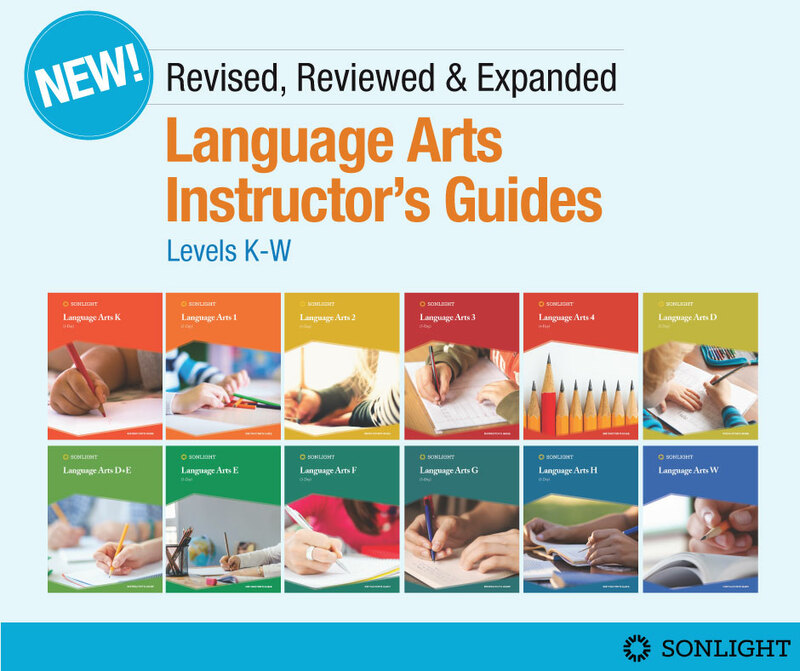 We at Sonlight are thrilled to announce our completely revised and updated Language Arts Instructor’s Guides for Levels K through W (all levels below high school). 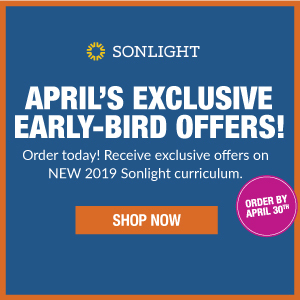 If you’ve been part of the Sonlight family for very long, you have heard the glowing reviews of our beloved History / Bible / Literature programs, and the less than glowing reviews our Language Arts. Although our Language Arts programs produce excellent writers, and many families use them with great success, we want more customers to experience that same success. Simple overview summaries for each week. What are you covering? Know at a glance. 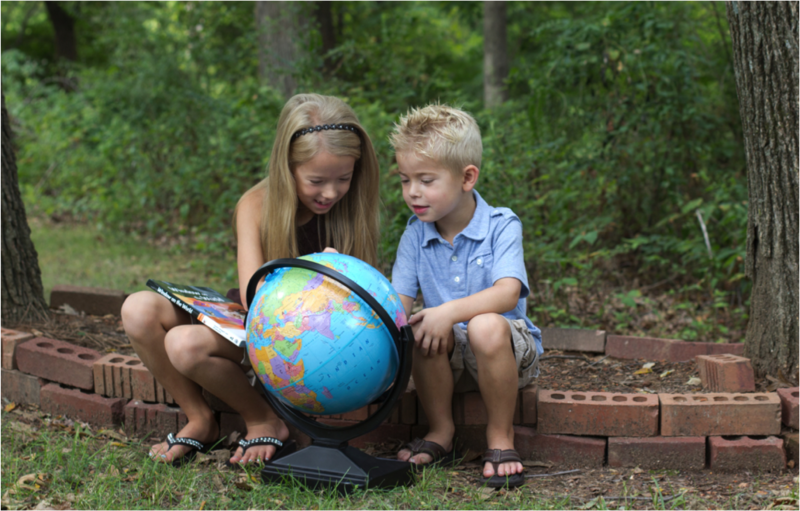 Teaching scripts in the early grades to read to your children. Easily introduce new ideas, concepts, and assignments. If you’re just starting to homeschool, this will help you. Evaluative rubrics. 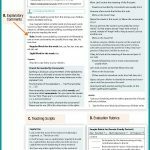 A rubric is a tool for teachers so they know how to objectively evaluate students’ performance. It’s a list of characteristics you want to look for to figure out how your children are doing. For example, did your children think through a beginning, middle and end to the stories they wrote? Did they do so Excellently? As Expected? Or are they In Progress? If you aren’t confident with grading, these rubrics will help you know what to look for so you can assess with assurance. After a big picture overview, the assignments progress in a logical order, starting with the simple and moving to the more complex. This applies both within each year and through the years as a whole. Revised assignments, making sure all are a reasonable length. 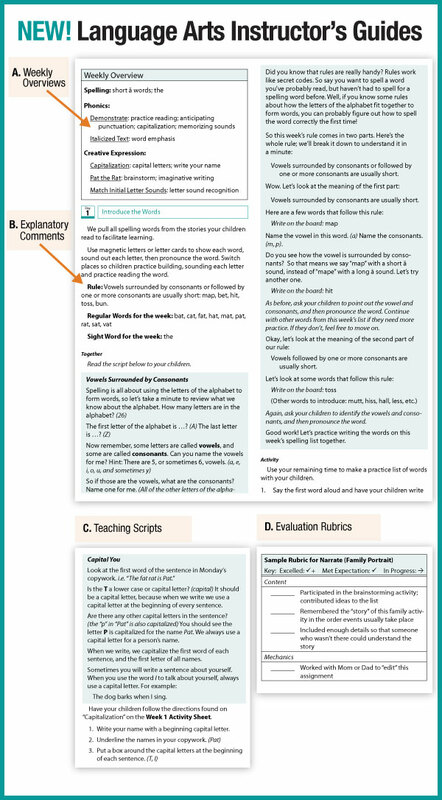 Many new and revised activity sheets. We're looking forward to the 2017 programs, and we'll continue to share all the exciting updates coming March 30. Until our next update, be sure to check out our website and stay connected via our blog or forums. Questions? Let me know below, and I’ll do my best to clarify! Will the readers remain the same? I have 2 students, 2 grades apart at present and part of the reason for choosing Sonlight was to the ability to reuse the IGs and readers. Hi Jennifer - We have not changed our Reader structure. 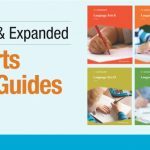 There will still be Grade K - Grade 4 Readers available to go with the Grade K - Grade 4 Language Arts programs. Hi, Judy. Just wondering if the readers are going to change? 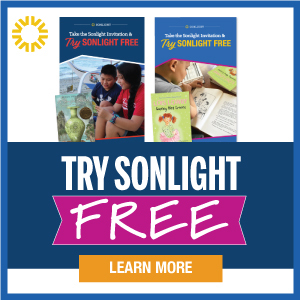 I've been using the Sonlight Language Arts with my kiddos for awhile. I'm interested in the new LA but not sure I can afford new readers. Hi Jen. Our Readers are not changing this coming year. You should be able to use our updated LA with your existing Readers. I keep seeing K-F in these posts, but am starting to wonder if A-F is actually meant, since K comes after F in the alphabet and also because the other post regarding these changes seemed to show an example from Language Arts A.
Hi Jen - I am sorry for any confusion! 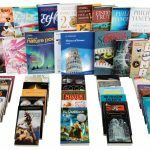 Our literature-based History/Bible/Literature programs are labeled by letter (A-W), so that folks understand that they are not tied to a single grade level. Our Language Arts/Phonics are labeled by grade at the lower levels. Because students are learning to read in the lower levels, we actually offer five different Reader/Language Arts levels to add to a History/Bible/Literature program. So, for example, with our Level A program, you have the choice of Grade K, Grade 1 or Grade 2 Readers with Language Arts ... depending on your student's skill level. Once students are no longer "learning to read" (Grades K-4 Language Arts/Phonics), our Readers/Language Arts are integrated with our History programs (D-W Language Arts), so that students are "reading to learn". I hope that helps to clarify any confusion. What an articulate, clear answer. Now I understand. Thank you so much! I will love this!! Plus the 4-day option!! This makes me so happy! This is our fifth year with Sonlight and have loved it every year. But I always felt that the Language Arts IGs needed a bit more direction and some more teaching helps and these changes address that. 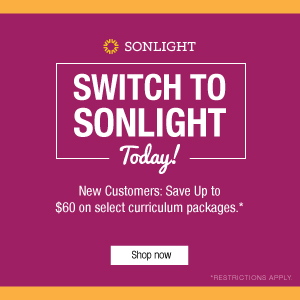 Thank you, Sonlight, for listening to your customers and always seeking to improve. I'm highly considering re-purchasing the IGs for LA K through 4 when we purchase next year's curriculum. Thank you again! This will make me want to try it again! Thank you! Will the new LA be available as an update to existing IG's, or will it be necessary to purchase a new IG? Any previews of the upper levels? G & H, for instance? You would need to purchase the new IG to get the updates. 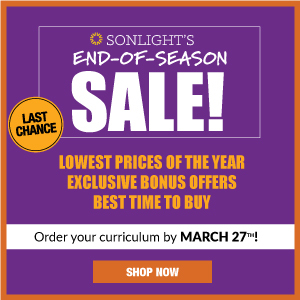 If you have purchased an IG from us in the past, and would like to get the newer edition as of 3/30, you are eligible for our 50% Repurchase Discount (https://www.sonlight.com/about/policies/repurchase/). The only preview that is currently available is what you see in this blog post. Once we complete the guide and send it off to the printer, we will get the 3-week sample up on our web site. 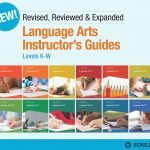 I would like to order my curriculum this spring, but see that the updated W LA will not be available until June 30th, can I go ahead and make my order and ask for the updated LA to be sent when it is ready? BTW, these updates give me confidence that I want to continue with Sonlight LA! Hi Angel ... You can go ahead and place your order for the updated W LA as of March 30th, and we will simply back-order the guide. Once it arrives in our warehouse we will then ship it out to you. I'm really interested in the new LA and I'm excited to see the samples when they come out! I was wondering, if we still want to use the old LA will they be available after the new ones comes out? (At least for a little while!) I was hoping to wait until June to order. Also, If I don't want to repurchase the new guides will that affect future worksheets? 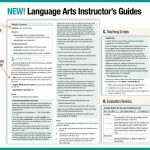 Will new worksheets work with old guides or do I need to purchase and old set to copy for my other kids to use? Hi Jackie ... 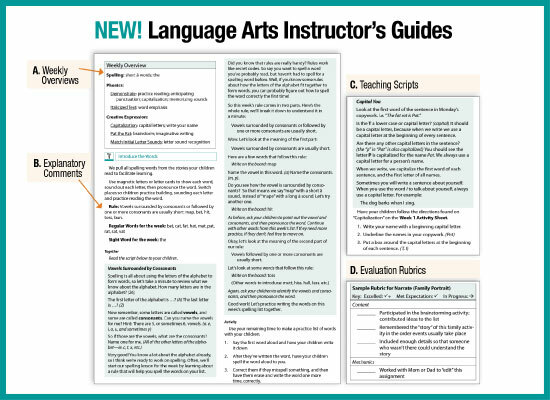 The 2016 Language Arts Instructor's Guides will no longer be available as of March 30th. You will only be able to order the 2017 guides from that date forward. Hello! For children whose writing is behind their reading, how would you pick a LA program? Hi Cath ... my best recommendation would be for you to chat with one of our Advisors (https://www.sonlight.com/contact/advisors/) who would be happy to assist you with making that choice. They will be able to offer more detailed recommendations than I can do here with limited information. Please reach out whenever it is convenient for you!